One of the most vital safety jobs for which airports are responsible is the several-times-daily inspection of active taxiways and runways for foreign object debris (FOD). Airport operators must make sure the surfaces on which aircraft move -- such as this taxiway at Ronald Reagan Washington National Airport -- are kept clear of FOD, which can damage engines, tires and other parts of an aircraft. There?smuch more to taking an airline flight than meets the eye. When flyinga commercial airline, you know you?re putting yourself in the hands of acorporation. Its employees check you in, handle your baggage and operate theaircraft in which you fly. The airline is also responsible for de-icing youraircraft in freezing weather so it can fly safely. But themajor role that the airport itself plays in making sure your flight operates safelyisn?t so visible. ?Publicsafety and security is our biggest role,? said Wayne County Airport Authority(WCAA) spokesman Scott Wintner. WCAA operates Detroit Metro Airport,a Northwest Airlines hub that saw 481,740 aircraft operations last year. TheAirports Council International (ACI) ranked Detroit Metro as the 11thbusiest airport in the United States and the 19th busiest in theworld. Nearly 36million passengers used Detroit Metro in 2006?almost 100,000 a day on average.Every day more than 18,200 people work there. Like otherairport operators, WCAA must ensure the safety and security of every person presentat Detroit Metro. Every worker who has access to secure areas of the airport isgiven basic security training. ?We?re allconsidered the first line of defense for airport security,? said Wintner. Theairport?s ability to deal with emergencies and its preparedness for them are justas important. Airportsare responsible for on-property firefighting, emergency medical services (EMS) and police responses. They employ and equip their own firefighting squads, said DickMarchi, senior advisor for policy and regulatory affairs for ACI ? North America. U.S. rules require that airportfirefighters be able to reach the mid-point of the most distant runway from theterminal within three minutes. The first fire engine on the scene must be ableto spray 5,000 gallons of retardant foam in the first minute after arriving. So firefightersat large airports need the fastest and most powerful fire engines available.Detroit Metro constantly reviews the effectiveness and reliability of itsfirefighting equipment and upgrades it regularly, said Wintner. Airportsalso often employ their own police forces and EMS staff, though firefightersare cross-trained in EMS work and often perform this additional role, saidMarchi. 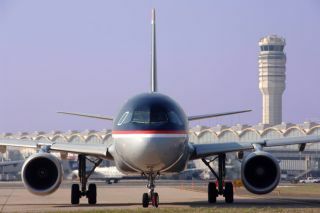 Federalregulations require that each U.S. airport create and maintain an FAA-approvedemergency response plan and test it by means of a full-scale exercise every twoyears. Airlinesprovide aircraft and volunteers to act as survivors and casualties. Theexercise involves working closely with local hospitals, off-airport firedepartments and police forces, said Marchi. The U.S. Coast Guard and militaryinstallations often get involved, too. The City of Chicago keeps 1,000 cots, as well as large stocks of blankets, diapers,infant formula and other basics at O?Hare Airport for operational emergencies.Other airports have similar programs. Every airportis also responsible for keeping its runways and taxiways clear of foreignobject debris (FOD), as well as clearing snow and ice from all surfaces onwhich aircraft move. The airport also must maintain runway and taxiway pavingand is responsible for the upkeep of the special lighting and signs requiredfor safe aircraft operation. FOD can be deadly.A piece of engine-cover dropped by a Continental Airlines DC-10 as it took offfrom Paris Charles de Gaulle on July 25, 2000 burst a tire on the Air FranceConcorde that followed on the runway. The tire exploded, sending red-hot rubberinto the Concorde?s wing fuel tanks to set the aircraft on fire. All 109 onboardand four on the ground were killed when it crashedafter takeoff. At DetroitMetro, a 24-hour airport that has six runways, vans drive down each activerunway looking for FOD at least twice per work shift?so each active runway isinspected at least six times a day, said Wintner. DetroitMetro is proud of its record in snow-clearing. Last year, the AmericanAssociation of Airport Executives ranked it second only to Anchorage, Alaska?s airport for its ability to maintain aircraft operations during heavy snowstorms. Newlyintroduced technologies should help airports become safer and moreoperationally effective, said Marchi. Vancouver and New York JFK are earlyadopters of a new radar system from British company Qinetiq that can detect FODon runways and taxiways at a distance of a mile. Meanwhile, airportsin Scandinavia and Germany are introducing new integrated snow-clearingvehicles that plough, sweep and blow snow from runways as they speed along at40 miles per hour. Thesemachines also de-ice as they move, obviating the need for separate vehicles toperform each runway-clearing function. Where even the best multi-vehicle snow-clearingteams take 30-45 minutes to clear a runway, the new machines can do the job in10 minutes, said Marchi. Aviationinsurers say collisions between airport ground vehicles and aircraft costairlines nearly $5 billion annually. They also cause injuries and fatalities. Under theFAA?s ADS-Binitiative, ground service vehicles at U.S. airports will be fitted withreceivers that will let their drivers see where aircraft and other vehicles are-- and with transponders that will let pilots and air traffic controllers seethem and take preventive action where necessary.